The World Bank predicts that the Angolan economy will record a production boost in diamonds that can turn the country into the world's biggest producer of this mineral. In a recent study published in Luanda, the World Bank states that although Angola presently occupies fourth place in the diamond producer’s ranks, it has the potential to become the biggest producer worldwide. 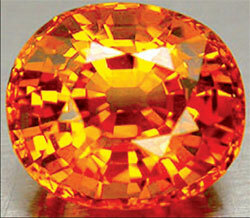 The report mentions that Angola currently represents about 12 percent of the world's total production, adding that the diamonds in this country are of good quality. The study that was presented is a result of consultations carried out between the World Bank and the Angolan Executive, between 2004 and 2006. The document, which was also given the support of the British Government, focused on four main aspects, the index of socio-economic realities, the existing options for the management of the mineral riches without negative macroeconomic consequences, the main constraints to the diversification of the economy outside the sector of minerals, and the challenges and opportunities to increase the well-being of the people.